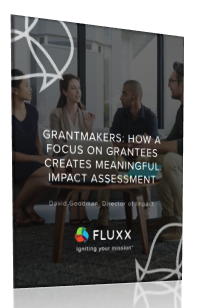 Grantmakers & nonprofits want to demonstrate their impact, but some may not be adequately prepared to address the challenges that arise along the way. Unfortunately, funders sometimes skip important developmental steps or fail to pay enough attention to their grantees’ capacity or preferences when designing or implementing evaluations. Fill out the form on the right to get the whitepaper now.